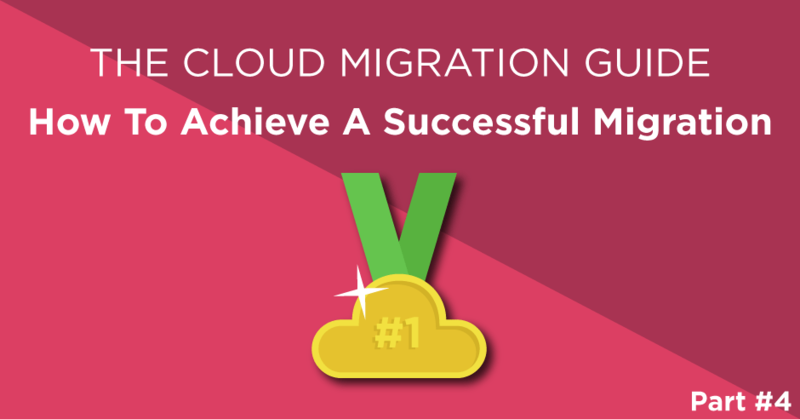 Welcome to the final installment of the Cloud Migration Guide. If you’ve missed an earlier part or would like a recap, click here to view: Part 1: What is a cloud migration | Part 2: The risks and rewards of migration | Part 3: Factors which influence cloud readiness. A cloud migration has a lot to offer businesses. It can enable increased efficiency, collaboration and productivity with cloud-based software like Office 365. It can establish a disaster recovery system that restores data and IT systems in minutes. It can let you create online backups and live replicas of your IT environment to minimise data loss and increase reliability. And it can boost business flexibility and performance with hosted infrastructure and hosted desktops. But many businesses don’t find success when undertaking their migration. Here are the most common pitfalls and traps that stop businesses from experiencing cloud migration success and how you can avoid them. A cloud migration is much more complicated than it seems and by doing it alone, the project can easily become mismanaged. There are hundreds of different variables to consider, each of which must be mapped out to identify interdependencies. Some applications may need some development work to become cloud-ready and everything must be timed perfectly to prevent major disruptions to your operations. Creating a thorough, comprehensive cloud implementation plan is no easy feat but fortunately, specialists are available who can give consultancy advice to ensure your migration is successful. Getting a consultant on-board for your cloud migration can help you draw up a plan that carries you through your migration and ensures the end solution delivers on your business objectives. All without embarrassing and costly mistakes on the journey. Choosing an experienced consultant de-risks the project and enables you to get assistance beyond just preliminary advice. This can include setting out the business case and getting stakeholder buy-in, through to the actual implementation of your solution. Experienced consultants are there to take responsibility for your business outcomes. Even for businesses with an internal IT team in place, it’s often not feasible to have them perform the migration. They may have the technical capabilities, but the experience of delivering multiple cloud migrations will typically allow a consultant to deliver a better business result faster, at a reduced cost and without the levels of risk. An internal IT team can certainly be involved in the whole migration process, but by working alongside a vastly experienced cloud architect they can deliver truly impactful results and grow themselves at the same time. As one benefit of cloud is how it can deliver an enterprise-class IT solution whilst saving money on infrastructure and running costs, it’s tempting to just choose the absolute cheapest supplier and call it a deal. However, the cheapest suppliers often struggle on project delivery and lack the knowledge for important areas such as troubleshooting and capacity planning. These failings can easily mount up and ultimately jeopardise the migration, reduce the performance of the solution or eliminate any cost savings. Ultimately, IT should be seen as an investment, as it is an investment at the core of your business. If you’re migrating your entire IT environment, you want to ensure that you’re getting value in terms of support, resilience, flexibility and advice beyond the initial sale. Otherwise poor performance, downtime and redundant spend can quickly overtake any initial savings. Along with price, you should also be checking the service level agreement (SLA) a provider is offering. A 99% uptime guarantee sounds good but is actually on the lower end of the spectrum for quality. You don’t want to be suffering outage after outage without any come-back against your supplier. Undertaking a cloud migration is not in itself a strategic business objective. A migration must be done to achieve a business outcome. Failing to have a concrete case for why you are choosing cloud can easily lead to a failed project in terms of tangible results. Being unclear on the true drivers of change can actually leave you in a more restricted state with increased costs. So you need to know why you are migrating to the cloud and whether there’s a better alternative far before you begin considering implementing a solution. 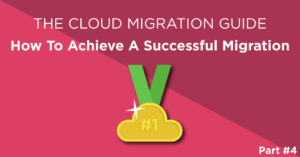 We covered how your strategic objectives can influence what you should migrate in the third part of our cloud migration series which you can find here. But in short, if you want to reduce costs and improve flexibility you could utilise cloud-hosted servers or desktops instead of building, supporting, maintaining and securing traditional on-premise solutions. If you want to increase efficiency and collaboration you can consider migrating to Office 365 to take advantage of applications such as Teams and Yammer. To improve reliability, you could deploy cloud-based replicas of key systems. And to improve performance you can migrate desktops or servers to a powerful cloud platform. Knowing exactly how much data your business has which needs to be transferred over in a migration is an important factor needing consideration. It’s very easy to underestimate the quantities a typical business has and failing to factor in growth patterns is an equally common mistake. Although cloud is highly scalable in its storage ability, needing to resize early on can lead to unanticipated costs and reduce the efficacy of your migration. But size isn’t the only factor to consider. The speed of the storage is an equally, if not more, important factor to look at. As it’s directly tied to the performance of your applications and files stored in the cloud. This is an area where an inexperienced consulting firm will typically let you down as they’re unable to ensure their cloud platform delivers the performance you require at the cost you expect. Your cyber-security is only as strong as your weakest supplier. If you choose a cloud provider who can’t prove that they have taken their security seriously then you’re putting your data at risk, probably your customers data and certainly your reputation. To avoid choosing a provider with poor security, at the bare minimum ensure that they’re ISO 27001 certified. ISO 27001 is the world-leading industry standard for information security management and, as it’s no small undertaking, is an indicator that the provider takes security seriously. Do be aware though that some providers will state that they “use an ISO 27001 certified cloud platform”. This does not mean that they are certified themselves though and instead means that the platform they are using is certified. It’s a big difference. Ideally, the whole chain should be compliant (otherwise much of the benefit is negated), so make sure the provider themselves have achieved the certification and not just the platform they are using. It’s important to check your business is ready for a cloud migration before undertaking one. There are several factors influencing how ready your business is for migration including business size, company culture and Internet connection. You can read more about this in part #3 of the Cloud Migration Guide. Once you’ve determined which area you want to migrate, based on the business case, you’ll need an implementation plan. This should document exactly what you’re going to migrate, how you’re going to migrate it and when and what order things will be migrated in. Additionally including a flexible roll back and testing plans for if things go awry or don’t work is imperative to ensure you can get back to a stable state quickly to ensure continuity of service. Although most industry experts agree that it’s no longer a case of “if” your business should move to the cloud, but “when”. You still shouldn’t rush to migrate everything at once or have unrealistic time goals. Migrating to an entirely new platform is a big undertaking and rushing in can get you into trouble. You need to have an implementation plan, based on experience and specifically tailored for your organisation. Doing an all-at-once forklift migration without proper planning can lead to horrendous issues for your business. Time and time again businesses try to go to the cloud in one jump and regret it – typically because they have rushed the testing process. Failing to test the environment under load (i.e. during busy times) and not ensuring every aspect of the various workflows continue to function can destroy performance and create further problems for productivity. In the main, being lax on testing is the biggest cause of failure of IT projects. You need a full testing plan, buy-in and sign-off from all departments to ensure a smooth and orderly transition. Want more information on the cloud? This is the end of this series on the cloud, but if you want more, don’t forget to Follow us @QuoStar or subscribe to our newsletter to be the first one notified about new releases along with access to free cloud migration resources, not available anywhere else! Part 1: What is a cloud migration? Part 3: Are you ready for cloud migration?